Recently our General Counsel sat down with the team at “Golf Business Podcast.” They had an interesting conversation about the importance of creating a website that’s accessible for all. The trend is moving toward considering websites places of public accommodation covered by Title III. Something to put on your radar! Listen here. Jonathan starts his interview at 18:39. You’ve no doubt heard of the wildly popular self-help book “The Five Love Languages: How to Express Heartfelt Commitment to Your Mate” by Gary Chapman. It suggests that every person has a primary language that “speaks” more deeply to them than others in terms of communicating love. I won’t weigh in on the validity of this theory as it pertains to personal or romantic relationships, but when it comes to how our employees receive “messages” that communicate their value or standing within your organization, there are definitely different primary languages. What works or is clear for one employee can be ineffective for another. Since today is all about love, it’s a great time to take a look at the 5 love languages for employees. Surprisingly, apart from one of Chapman’s original 5, the languages are identical! Words of Affirmation- Using words to build up the employee. Do you think an employee does a great job? Do you appreciate their contribution? Then this one is pretty simple—tell them! Better yet, tell them with an audience from time to time. A quick shout out in a meeting or a mention in a company email does so much to validate an employee’s efforts. Gifts are symbolic. If you purchased something for an employee, it shows that you remembered them. It’s less about the value and more about having a tangible “thank you.” Gift cards, hand-written thank you notes, or items for their workspace work well. Acts of Service- Doing something for your employee that you know they would like. As the saying goes, actions speak louder than words. It’s one thing to say you appreciate your team; it’s another to put those words into action. Little things like providing lunch, bringing snacks, hosting employee appreciation functions, and putting on team challenges go a long way. One of the best ways to speak this language is to get in the trenches with them. When work loads are massive and hands are short, roll up your sleeves and hop into the fray. Quality Time- Giving your employee your undivided attention. Yep, it’s all about face time. One of the common complaints from employees is they feel that their supervisor can’t be bothered to sit down with them. Carve out some time to sit and talk with each of your team members on a regular basis. It can be something as quick as a small check-in each Monday. Just make sure it is indeed quality time. This means turning off your email notifications and putting away your phone. Technology is a significant deterrent in relationships both personal and professional. A Bright Future- Being forward focused WITH the employee shows that they’re part of the big picture. The standard 5th love language is physical touch. You can see why that would prove problematic in the workplace. I’ve replaced it with what I consider the most widely desired and most satisfying of all languages when it comes to a career, a future. It’s up to you to show an employee where they’re headed and make them feel confident in the fact that you’re committed to taking them on that journey. No one likes to guess about their future, and in the absence of communication, employees are left to fill in their own blanks. There you have it. Hopefully, you’ve already tackled taking care of the loved ones in your personal life today (or have a plan in place to do so). Now it’s time to loop in your work team. What can you do today to start speaking their love language? Most businesses know that they should have some formal, structured process for holding annual reviews. Employees expect and deserve them, budgeting is easier to manage with a process, and personnel files benefit from clear, consistent documentation. In good organizations, reviews may even be conducted on a more frequent basis. After all, millennials will comprise over 50% of the workforce within the next two years, and they crave demand frequent feedback. However, what many still fail to realize is that if you’re only having scheduled discussions concerning an employee’s performance, you’re missing the mark. Are you talking about goals? Are you digging into the reasons employees stay? Asking questions about why they may leave? Do they have an open forum to tell you what they need from you to enable them to reach their goals? In today’s third installment in our Communication Series, we teach you everything you need to know to add the Stay Interview to your playbook. Here are a few easy steps for incorporating Stay Interviews at your business. The interviewer must be the employee’s direct supervisor. The Stay Interview at its core is all about building trust. The most valuable relationship at any organization is the one between manager and team member. First level managers are directly involved with team members daily and have the most significant impact on their career development, environment, and experiences. Tasking a manager a level up or handing this off to HR doesn’t work. The interview is a conversation, and listening is critical. The interviewer must give the employee plenty of room to speak and expound upon responses. They should also be prepared to ask follow-up questions of a leading nature after listening to the employee’s answers to the core questions. Secondary questions and requests for additional details are where you’ll typically find the gold. Don’t prep the employee in advance. Don’t supply the employee with the questions in advance so they can prepare. You want authentic responses. When an employee has too much time to think, they’ll naturally second guess how a response may negatively impact them. They’ll edit to put the best spin on an answer. The point of this exercise is to get to their real thoughts and feelings. You lose a ton of authenticity with the polish that comes from any prep-work the employee may do for the interview. At the end of this article, we provide five questions to get you started today, but you’ll want to swap new questions into the rotation as you return to the same employees for additional rounds of the Stay Interview process. There is a litany of things you can ask; the key is to remember that the employee is the focus of the interview. It’s about their thoughts, what they want, and what you can provide them. Be prepared for money to come up. Though this isn’t the employee’s annual review, be prepared to discuss money. When you’re asking questions about someone’s experience and thoughts about work, compensation is bound to enter the conversation. If “I need more money” comes up, ask follow-up questions. “Tell me why you need more money.” “What skill can you build that makes you able to contribute more?” “Is there another job here you’d like to learn more about?” “Would you like to build a plan so you can learn more and build those skills’? Be prepared to handle your complainers. What do you do when an employee voices a complaint about something in their work environment? Start by asking more questions, so you have the facts needed to determine later how you’ll address it. A simple “tell me more” works remarkably well. Don’t feel the need to fix the issue then and there or even offer an excuse or explanation. Take time to think and plan after the interview. And remember, once you agree with a statement, you become a peer. Your job as a manager is to understand the needs of the employee and the business then find the best balance between the two; not to join in on the latest gossip or fuel the fires of dissent. Have an employee complaining about senior leadership? Instead of agreeing with them (even if you DO agree with them), try offering statements like, “Our leaders sometimes know things we don’t.” It’s easy to be critical of unpopular decisions without knowing all the facts that led to the choices. If you hear the same complaint from several employees, this information may need to be shared with the leadership team. The issue may lie in a lack of top-down communication or a need to better involve all stakeholders anytime a significant change is on the horizon. One of the main goals of a Stay Interview is to uncover concerns that may ultimately drive your workforce out the door BEFORE they have one foot out so you can make necessary changes. Make them answer all questions. Some of the questions are tough, and an employee may not be able to give you a full response at the time of the interview. That’s okay. If after continued conversation they’re still stuck, give them a deadline to get you a response back. Complete the interview. Put away the keyboard and laptop for this interview. You’ll definitely want to take a lot of notes but use a pen and a pad. Writing helps you stay engaged and feels a lot more personal. It will also prevent you from being distracted by the latest email notification. Collecting information does no good if you don’t act on what you’ve learned. Has an employee told you they want to learn more about another department? Get them involved with some shadowing and on the job training. Did a team member share talk about a skill they’d like to obtain to take the next step? Hold them accountable and help facilitate where you can. Did an issue arise concerning the physical workspace that you’re able to change? Make that change! 3. Why do you stay here? NOTE: Make them discover and announce why they stay. It can’t be only money. Don’t bail them out. This is about getting an employee to learn something they didn’t know about themselves. Everyone can tell you why they’d leave. This will help you uncover strengths and play to them. Remember, you’re taking a big step just by periodically asking your people if they're happy. Most employees are excited merely by the fact you’re concerned about their future and are taking the time to meet with them. 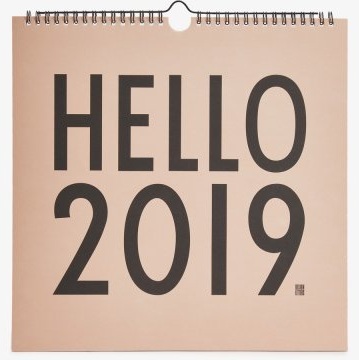 As we rapidly approach the end of another year, we either find ourselves in a state of premature nostalgia for 2018 (ruminating over our accomplishments and wins with the losses and missteps already diminished by the glow of the holiday lights) or stressing over the mounting to-do list for 2019. January is a wild time in this industry of ours! The resolutioners will soon be upon us, bringing with them their cash and hopefully yielding a nice bottom line to launch into a prosperous new year in business. Now, I don’t want to add any more to your to-do list or take away from the impending rush of your best sales month, but there are a few critical items that are must-dos for 2019. Let’s take a look at what should be on your radar in the new year. We’ve touched on this a few times this year, but it bears repeating. 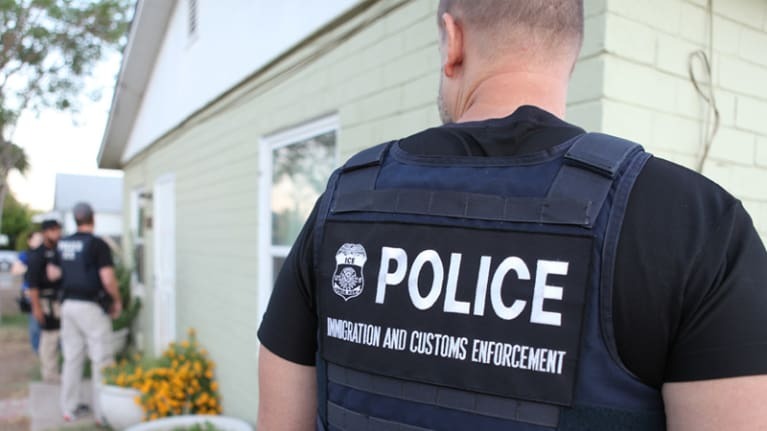 Immigration and Customs Enforcement (ICE) warns that going forward the agency will increase Form I-9 audits, conduct more worksite raids and promote involvement in the government's voluntary compliance program (E-Verify). Under the current administration, audits are expected to go up 4000%. It’s also important to note that civil penalties associated with violations have increased. Current penalties are between $224 and $2236 per violation (employee). Now more than ever, it is vital that employers ensure that Form I-9’s are being completed accurately and on time for each new employee. 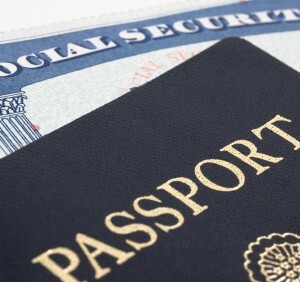 In some states, participation in E-Verify is required. Check with your state agency. In 2019, 21 states are increasing their minimum wage. On top of the state changes, 23 cities and counties are mandating rates above the state minimums. Make sure you review your current workforce and adjust where needed. You may need to reconsider your compensation plans to account for accommodating this change. Some areas are seeing increases of more than $2/hr. For a small business with already razor-thin margins, this can have a significant impact. The count for states requiring employers to provide paid sick leave to their employees moves up to 11 in 2019. This is a trend that is here to stay, and it’s expected that we’ll see more states legislate similar laws in the coming years. Check your state laws and ensure you have a reliable leave management system in place. If you think we’ll ever go back to a time when online reviews don’t matter, think again. Member reviews influence more than 95 percent of online customers before they decide to buy. In the coming years, reviews will be the greatest influencer of any business, including the fitness industry. Consider the power your members hold behind their keyboards and establish policies as well as your focus on service accordingly. Recruiting and maintaining good employees has always presented a unique challenge for our industry. With unemployment at historic lows, keeping employees engaged and happy is critical to retention. Consider what you offer your team beyond a steady paycheck. What’s your culture? How do you recognize top performers? Is your environment happy and uplifting? Employees come for money, but stay because they like their team members, managers, and where they work (and money). As we’ve seen almost daily in the headline, cyber attacks are on the rise. Make sure sensitive information is safe by limiting all storage and processing to trusted software platforms which are focused on privacy and protection. If you’re already confident in your technology suppliers, ensure you’re doing your part on PCI compliance. Never store sensitive information in paper format and if you must use paper, ensure data isn’t accessible by keeping it in a locked file cabinet or safe. Educate your staff about the importance of information handling as well. You’d be surprised how many times I’ve been in a club and seen passwords or credit card information on post-it notes! Employee awareness of and an unwillingness to accept harassment or discriminatory behaviors will continue to strengthen. With the number of states requiring sexual harassment training and instituting specific anti-harassment laws, it’s imperative that your business has clear policies which promote a healthy and safe work environment for all. A costly sexual harassment lawsuit is filed almost daily somewhere in the US. Most of these lawsuits could have been avoided with proper groundwork on the front end, an impartial investigation, and the ability to address any concerns once a complaint has been reported. So, should you find yourself on the receiving end of a claim, you need to ensure that it’s handled promptly and professionally. You can’t afford to get it wrong. As a small business owner, it’s likely you wear many hats. That’s great; it got you where you are today. But as you grow, there comes a point when that’s no longer sustainable, particularly if there’s significant work that needs to be done in an area that’s outside your wheelhouse. Stop burning the candle at both ends, and maximize the resources available to you. When you find yourself short on hours and long on needs, we’ve got your back. GYM HQ is here to help you tackle compliance issues, daily business tasks (bookkeeping, payroll), customer interactions, and other vital business functions. Get out from behind the computer and back out on the fitness floor! We don’t often “recycle” content on our blog, but this post was too good not to share. Why reinvent the wheel when you find a perfectly great wheel right in front of you? Employee documentation is an area on which we get a ton of questions, so hopefully you find this information useful. While one of the steps involves dealing with unions (a loop through which we aren’t forced to jump in the fitness industry), the other twelve steps are solid. It’s a nice part two to the previous post we did on Communication. Here are some recommendations on how to improve written warnings so that employees can improve their behavior, managers can better manage them—and the company can stay out of the courtroom. 1. Be specific about the offending conduct. For both the manager's and employee's benefit, include details about what exactly happened to prompt the warning. Maybe the worker didn't fully realize the seriousness of the misstep. With a warning, the employee can learn exactly how he or she missed the mark, which gives the person more of a chance to improve. But should the employee sue, this record will be valuable. "Since courts give more weight to contemporaneous accounts of what happened than subsequent explanations articulated during litigation, it is key to include as much information as possible" about the misconduct, said Nina Maja Bergmar, an attorney with Burr & Forman in Atlanta. Explain how and why the conduct rose to the level of the stated offense. That way the company can pre-empt debates during litigation over whether there was insubordination or falsification of records. 2. Provide the real reason for the warning, not the reason that sounds better. Because discipline can lead to termination, employers sometimes provide a reason for a warning that they think sounds less confrontational. For example, they might say "personality fit" is the problem, rather than "threatened co-workers," Bergmar noted. The employee should know for certain what he or she did to prompt the warning. This promotes honest discussions within the workplace. Plus, the true reason is likely to surface in any subsequent litigation. Shifting explanations for discharge set an employer up for claims that its reasons for discipline and termination were pretext for discrimination. 3. Connect the employee's conduct to the company's policies. Clearly explain which policies the employee violated. This will help strengthen the company's defenses in the event of future litigation and ensure the policies are not flouted. 4. Describe the impact of a policy violation if the effect is readily ascertainable. For example, an employer might choose to describe the financial loss of an employee's walking off a production line, Bergmar noted. And employees should know how their actions affect their co-workers and the company at large. 5. Avoid unneeded commentary. Keep the discussion focused on the specific wrongdoing. Bringing up other matters may make it hard for the employee to focus on what's important and what he or she needs to do to get back on track. Don't go much beyond detailing a description of the offending behavior, referring to the policy violated and describing the discipline, Bergmar recommended. Additional commentary could create unnecessary liability. For example, if an employee is disciplined for failing to provide required documentation for an excused absence, the employer should avoid discussing the employee's attendance in general. "Discussing the general attendance in the write-up could be problematic because the absences may be protected by federal employment laws, and referencing the absences in the write-up makes it seem as though the employee is really being disciplined for taking federally protected leave," she explained. 6. Avoid legal conclusions. For example, if an employee is facing discipline for violating the employer's anti-harassment policy, identify the specific policy violation rather than including generalized statements about the employee harassing or discriminating against other employees. Such statements could unnecessarily offend the employee. Moreover, employers' policies often are more expansive than the law requires. "Legal conclusions regarding 'harassment,' 'discrimination' or 'retaliation' run the risk of being interpreted as [employers'] admissions of legal liability as opposed to what they really are: internal policy violations," said Ursula Kienbaum, an attorney with Ogletree Deakins in Portland, Ore.
7. Don't attach supporting documents. Providing supporting documents in addition to the warning "is almost always overkill," said Robert Boonin, an attorney with Dykema in Detroit and Ann Arbor, Mich. The examples of errors and misconduct should be placed in the personnel file or, depending on the state, in an investigative file, he stated. Don't make the interaction with the employee overly litigious. After all, the goal is for him or her to improve, and if the employee does, the working relationship will continue and even thrive. The written warning shouldn't be an obstacle to that possibility. 8. Mention previous verbal or written warnings. If there is a record of prior warnings, Kienbaum recommended, include the prior warnings if they are relatively recent—within the past five years—and "at least somewhat related" to the conduct at issue in the current discipline. 9. Ask a union representative to be present when the employee is given the warning. The warning should include signature lines for both the employee and the union steward to sign, Bergmar noted. It also should set forth the specific provisions of the collective bargaining agreement (CBA) supporting the disciplinary action, she added. For unionized employees, the employer needs to carefully check the CBA for any procedural requirements for discipline, Kienbaum said. "These can include strict timelines for issuing discipline, progressive discipline or even procedures for investigatory interviews," she stated. 10. Issue written warnings promptly. Letting bad behavior fester will only lead to more problems later. Timely warnings demonstrate that concerns are legitimate and not pretext for alleged discrimination or retaliation, said Lynne Anne Anderson, an attorney with Drinker Biddle in Florham Park, N.J.
11. Follow through with the steps outlined in the warning. If the warning states that a supervisor will have weekly follow-up meetings to monitor an employee's progress, make sure those meetings happen and are documented, said Keerthi Sugumaran, an attorney with Jackson Lewis in Boston. Similarly, if the warning states that an employee will be terminated the next time he or she engages in a particular form of misconduct, the employer should follow through with that action, unless extraordinary circumstances dictate otherwise, she noted. Send the message that follow-through is expected throughout the organization from top to bottom. 12. Give the employee the opportunity to provide a written response. This promotes good employee relations. If the employee does submit a response, HR should review it to see if any follow-up is needed, Anderson said. For example, if the comments indicate that the performance issue is due to the employee's medical condition or a situation covered by family and medical leave laws, HR should reach out to the worker to get the necessary medical documentation to determine whether the individual is eligible for Family and Medical Leave Act time off or a reasonable accommodation. 13. Ensure consistency. When issuing written warnings, employers should provide the same discipline for employees engaging in similar conduct, said O'Kelly McWilliams III, an attorney with Mintz in Washington, D.C. Otherwise, the employer may face discrimination claims and be viewed as unfair by colleagues of the disciplined worker. This article was written by Allen Smith, JD and feature on the Society for Human Resource Management website. Being a career mom is a curious balancing act and one that takes a little bit of time to achieve. On one side I feel guilty as I drop my child off at daycare every day. She’s so young and small, and my heart aches to hug her close all day every day. On the other side, I’m sitting home after work, and something is gnawing at me because I haven’t checked my email in a few hours. What if something needs my immediate attention? But eventually, you start to find a sweet spot. You make the most of the time you have in both of your worlds. Recently a client called for our regular catch-up conversation and inquired as to how my perspective has shifted since becoming a mom. He talked about the significant changes for him after his son was born. And he wasn’t the first to bring up this topic. Of all of the wonders I’ve experienced in being a new mom, and trust me, there have been MANY; the biggest is that it has made me a better leader. It’s made me better at my job! This caught me completely by surprise. I don’t often pull from my personal life for these articles, but today’s lesson comes to you from the nursery instead of the boardroom. Let’s start with the obvious; spending time with an infant will instill in you a level of patience unparalleled in any work environment. A baby has no regard for your plans or timetable. You want to enjoy a hot dinner? Too bad, that’s when she’ll demand to be held. You want to grab a quick 30 minutes on the treadmill? Better do it at 5:30 AM. Cute outfit? Blowout. So yeah, babies are somewhat unpredictable. But guess what? Business can be too. And learning to pivot constantly and deal with the ups and downs is Leadership 101. I find myself accepting these change of plans moments in the office with the same coolness I used only to possess when things were going perfectly. There is rarely a reason to panic; we’ll find a way through. Acceptance that sometimes I can’t fix it. A baby cries, and you try all your tricks to fix it. Diaper? Nope. Bottle? Nope. Sleep? Nope. Sometimes you just are left Googling and then pacing the hallways until whatever it is passes. Being a parent doesn’t make you magical, and it doesn’t give you all of the answers. Sometimes it’s okay that I can’t immediately make the situation all better. Clients are finicky, some more than others. Even after almost two decades in this industry, I don’t always have the answer or the particular combination to make them happy. Sometimes what they’re asking I can’t give. And other times, they’re not even making reasonable requests. Occasionally it’s perfectly fine not to be able to provide them with what they want or think they need. Business will march on, and tomorrow’s a new day to get it right. Almost any book on management and leadership will tell you that you are far more productive if you limit yourself to a typical workday. Our work tends to expand into whatever time span we give it. So if you have four hours to complete a project, you’ll get it done in four hours. Limit yourself to two, and somehow you still get it done. Clearly, this application has its limits, but there’s definitely some validity to it. My days have a hard stop now, and it’s made me far more efficient in how I map out my day. Meetings are more focused. Processes are analyzed continuously for efficacy. If I’m going to work 8-10 hours, I’m maximizing every second. Because when I get home, I need to feel confident that everything is in a good place…so I can leave that pesky inbox alone till morning. Speaking of email, did you know that if there is a fire people will find a way to reach you? There is very rarely anything happening after leaving the office that can’t wait till morning. Not every request constitutes an emergency. I make sure my team keeps an eye on their company messenger and text messages, but I don’t expect them to check emails during off hours. If someone needs something quickly, they’ll reach them some other way. We have also improved our communication of hard deadlines with clients. Not only is this making us more efficient and able to provide better service, but it also allows my team to truly be off work, which makes them more effective when they’re here. Prepare, and then prepare some more. You don’t dare leave the house with a baby without running through a litany of checklists. You should see how I packed for our Thanksgiving trip! And you only have to leave the house once without a bottle (thinking you’ll be back before feeding time) to realize that you never leave the house without a bottle. Operations, procedures, and processes have always been my thing. But when I returned from maternity leave, I found myself ripping apart every single SOP and help guide. Was our training manual indeed guiding our team members in the right direction? Were they prepared for every challenge or situation they may face? What gaps didn’t I fill before I left? I don’t ever want a team member to be left feeling like a father forced to MacGyver a diaper and wipes in a mall bathroom. Yes, that happened. It’s okay to improvise, but when left with a choice, I’d rather be better prepared. My husband is a rock star, no exaggeration. He’s a diaper changing, late-night feeding, school bag prepping, grocery getting dynamo. It’s not lost on me that he’s made this experience what it’s been. He’s allowed this career-baby-balance thing not only work but seriously click. I love and appreciate him for it, and I remind myself to tell him that regularly. I can’t do everything on my own. I’ve always appreciated my team here, but my new normal has shined a light on where I need to delegate (and where I shouldn’t). And it has continuously prompted me to let those who support me, who support our clients, know just how much they’re needed and valued. Everyone says that you never know true love till you’ve held your child for the first time. They’re pretty dead on. It’s a different kind of love that shakes you to your core and rearranges your wiring. Probably the biggest surprise in all of this is that finding my passion for being a mom has uncovered a more profound desire and passion as a leader. It threw gasoline on my hunger to strive for my team, our clients, GYM HQ, ClubReady and the entire fitness industry. It’s made me want more and desire to make everything I touch noteworthy. It’s nudged me to challenge myself. It’s made me love what I do and the small business owners we help all the more. All in all, any fears I may have held deep in the recesses of my mind that being a mom would diminish my capacity to be a leader were unnecessary and unfounded. Our hearts, minds, and abilities are so much more elastic than we can understand. We shouldn’t be afraid to push for everything we want in our lives. Our growth knows no bounds, and growth in one area tends to impact every other area positively. Post-workout, pre-work & school photo op. Join Us at Club Industry! I’m excited to announce that next month I’ll be presenting a seminar on fitness business best practices at the Club Industry trade show in Chicago. I’ll also be sitting on a panel with some other great fitness minds to field the questions of up and coming fitness entrepreneurs. Come see me and the rest of the lecture series put on by Personal Fitness Professional. Solid communication is arguably the most vital skill a manager brings to the table. So why is it so difficult for many, and where are they missing the mark? I believe the primary challenge is that communication is rarely a focus of employee training and generally, once an employee ascends to the role of manager, any training on communication all but ceases. But the title of manager alone doesn’t magically bless someone with excellent communication skills. As with all other skills, instruction and practice are required. Over the next several articles, we’ll explore methods and pointers geared fostering great communication in the workplace. We’ll start with a look at the coaching sessions. Coaching sessions can prove challenging for even the seasoned manager. Discussing performance issues can be daunting. It’s also easy to bombard the employee with one-way communication thus preventing constructive and vitally important dialogue from occurring. Below I outline the steps to take when approaching an employee coaching. Start with the who, what, when, and why of the practice/process on which you’re coaching. Example: Sarah, you made 215 phone calls last week which was 85% of your call quota. You were out for three hours on Thursday afternoon which caused your Thursday call numbers to be low. Dive further into the why. I’ve noted that you’ve had multiple personal issues causing you to be out of the office on at least one occasion during three of four weeks this month. This resulted in you missing your call quota during two of those weeks. When you’re on time and work your full shift, you always manage to meet your quota. Reestablish expectations and responsibilities. A written job description should be used as a reference. Let’s review the expectations for your role. One of your primary responsibilities is hitting your call quotas each week. While our company does offer PTO to allow employees time off to attend to personal matters, your frequent outages are causing you to fall short of the expectations for your position. Present a Performance Improvement Plan (PIP) with a set timeline where applicable. Some useful techniques used in a PIP include: recycling the employee through training on the area of concern, practice sessions with a supervisor which allow the employee to get immediate feedback on performance, scheduled check-ins along the timeline to update the employee on their progress, testing on skills, peer-to-peer shadowing with a top performer, and recommended external training (workshops, courses, and reading). In this instance, absence is what is causing this shortcoming; so the focus should be on helping the employee understand how their outages impact their performance and overall standing in the company. It may be useful to discuss better use of PTO (spacing out usage, scheduling personal appointments for non-work hours, consideration of alternate work schedules if available, etc.). While the company’s leave policy may not have been violated, the employee’s absence is still causing an issue. Ask questions to determine any additional reasons for poor performance and obtain employee buy-in. Do you understand the expectations and responsibilities tied to your role? Do you see how being out of the office regularly is preventing you from hitting your call quotas? Are there any issues I should be aware of that may also be contributing to you missing your call quota? Are there any other concerns you’re having with your role? How do you plan to correct this issue moving forward? Pay attention; sometimes this unspoken 93% can distract from or contradict what you’re saying and elicit an unwanted response. Delivery is relaxed and encourages conversation. Your goal is to facilitate dialogue to reach an understanding. Body language is open and attentive. The right body language encourages a better response. Be present. Maintain eye contact and eliminate all distractions like your cell phone, workplace messengers, or emails. Be ready to listen as well as talk. Listen with your face (nods, raising eyebrows, eye expression, smiles). Eliminate fidgeting. Tone is calm and confident. Remove anger, blame, or panicked language from your delivery. Pacing is measured. Don’t rush; leave pauses to allow the employee to comment or interject. Allow for discussion. If the employee presents a reason for their performance for which you weren’t prepared, hear the employee out and ask numerous questions to ensure you fully understand their side. If you aren’t prepared to offer a solution on the spot, it’s okay to circle back after you’ve had time to think/research. Serve up a compliment sandwich. The employee has some redeeming qualities, or you wouldn’t have hired her or be investing the time to coach toward improvement. Make sure you layer comments about her potential or her positive performance into the conversation to soften the sometimes sharp edges of a PIP. This helps keep the employee focused and positive and shows them that you also see and appreciate what they do well. Sarah, you do such a great job of speaking with the customers. Your approach is friendly and professional. That’s why it’s so important to me that we get you on the phone with more customers! Let’s focus on making sure you hit your call quota every week by addressing these attendance issues. Practice! Think about an employee coaching session as a presentation or performance. You wouldn’t walk on stage without knowing your lines. Your delivery is key to successful coaching. Learning how to manage your face, body, gestures and vocal inflections is a skill. Skills take practice. Remember, putting an employee on a PIP or holding a coaching session is a serious and vital part of a manager’s job. The employee can come out of the meeting feeling focused and ready to tackle the challenge or beat down and demotivated. The manager’s delivery largely determines which it will be. It’s not always easy to effectively engage employees, but a good manager recognizes the importance his or her communication plays in the success of the larger organization. Netflix, Hulu, Blue Apron, Spotify, Joe’s Gym, Geico… it’s easy to lose sight of where you’re spending your money even in your personal finances. So many of the services and products on which we spend come with convenient monthly billing these days. When price tags are low for individual services, it’s easy to allow months to go by where you don’t realize you’re being billed for something you don’t want, need, and for which you are no longer contractually obligated. In fact, multiple brands in our industry have constructed their business models around this assumption! It’s one thing to miss a few months of your $10 music membership, but when we’re talking business expenses, the stakes are much higher. If you’re not reviewing expenses monthly (and preparing a comprehensive financial statement), you are undoubtedly overpaying! GHQ utilizes Paychex for its payroll clients, and the cost is factored into our payroll pricing. However, prior to onboarding with us, many of our clients used very different platforms. Some of these bill by the active employee. So, if a business hasn’t been diligent in terminating staff as they leave, overpaying is easy. Our industry poses a unique challenge as many trainers and coaches work on a very part-time basis. It may not be noticed when they cease any scheduling, and multiple pay periods can go by with them incorrectly listed as active. In a recent instance, the client had a very large employee base. So missed terminations came with a hefty price tag ($1000s wasted monthly). Action: Research how you’re being billed and then conduct an audit to ensure your roster is accurate and up-to-date. The importance of this spans beyond cost savings. When the latest and greatest in software, wearable displays, music streaming, group X programming, or marketing comes around, your excitement can lead you to leap in hopes of a big payoff. Once the initial enthusiasm dissipates, that new addition to your business may find itself unused and collecting dust. Action: Review your current subscriptions. Are you using them? Are you still under an obligation to pay? If you’re under contract, make a concerted effort to relaunch the initiative or service, so you’re getting some ROI or, request the fees for early termination. Sometimes it’s better financially to pay for an early cancellation if you’re getting nothing from the subscription. If your AP process is a mess, you may find yourself scrambling to pay bills at the last minute, or worse, after the due date. This causes you to incur unnecessary fees. Do this enough, and they really add up. Credit cards fees alone can lead to wasting a substantial amount monthly. Action: Ensure you have a list of all monthly and annual liabilities along with due dates. Review your AP process to schedule payments in advance of deadlines. Don’t forget yearly business registrations, reports, and licensure renewals. These generally come with a stiff fine for filing late. Is that commission structure you put in place yielding the sales you need? Is your monthly bonus in line with how much you should be averaging for new member spend? Are your PT packages priced appropriately to account for the session rates you’re paying trainers? What about your salaries? Are you top-heavy? Payroll is by far the most common area for overspending, and it can cripple a business. Action: Review all pay plans currently in place for your business. Compare the spends in each category (sales, PT, management) to industry or brand standards. Analysis should be done as a percentage of revenue and in the area of sales, the cost of acquisition per new member. These stats should be reviewed monthly. Carefully think through any adjustments prior to deploying new pay plans. You don’t want to roll out new structures frequently as this creates employee confusion and dissonance. The main take away here is to keep your eye on the ball, your monthly financials. If you don’t have a clean set of books or a clear process for review, it’s very likely you’re wasting money. Take the extra time to ensure the money you work so hard to bring in the front door isn’t sneaking out the back. Need help with accounting, reporting, and monthly P&L? We can help. Email info@gymhq.club to learn more. Stephanie is a free spirit. She loves yoga, daily meditation, nature and all things earthy. She relies on hard work, determination, and persistence to achieve her goals and prides herself on being an excellent manager of time. Stephanie graduated high school at the age of 16 and started working as a waitress shortly after that. A few years later, she decided she wanted to be a personal trainer, but her interviewer saw much more than a trainer in her, and she was hired as an Assistant Sales Manager. She started her career in the fitness world at a small, run-down gym in the suburbs of Atlanta. Through consistent sales results, she quickly moved up the ladder to run several markets during her almost 8-year relationship with the company. She was known for being sent to “troubled markets” and turning them around to get them back on track. After quite a few satisfying years as a Regional Sales VP, she decided to start some independent work as a business development consultant. In this role, she worked closely with fitness studio owners in start-up or struggle mode. She specialized as a business turnaround consultant, helping struggling companies succeed again by identifying their weak points and helping them implement proven processes for success. The problem was, she never felt like she was at “home.” Stephanie longed for a stable career opportunity where she could grow, learn and become a key player in a team of many with the same passions she had. She reached out to someone she trusted and enjoyed working with in the past, and as fate would have it, he pointed her in the direction of GYM HQ! Stephanie joined us as a Payroll Admin. She was not in the seat long before she started asking the right questions and proving herself to perhaps be a better fit for a more significant role. With her skill set in mind, the Operations/Accounts Manager role was born and Stephanie began serving as the right-hand woman to our VP. Her main goal is ensuring our clients receive the best in service, and that we're continuously striving and working toward better. A typical day may find her involved in on-boarding new clients, pitching in to navigate a tricky payroll cycle, or putting together a KPI report to assist a gym owner in growth and improvement. If a department doesn’t have a specific head here at GYM HQ, she’s your go-to person. If you have a problem, she is the solver. She is all about teamwork and making sure everything runs smoothly. Everything Stephanie has experience in the fitness industry thus far makes her uniquely qualified for her role, and she says that she finally feels “at home.” She was recently recognized as GYM HQ'S June MVP. Born in Haiti and raised in New Jersey, her first job was at Chase as an encoder in New York. She worked hard and eventually left Chase for a role at First Fidelity Bank in downtown Newark, New Jersey. There she handled escalations directed to the “Office of the President (CEO).” When her parents decided to take early retirements and move to South Florida, she followed suit and accepting a position at Manufacture’s Hanover Trust Mortgage as a call center agent in their Rural Housing division. The company was eventually acquired by Chase. Co-Chair of Mentoring Club assisting new managers on their managerial adventures. As the Customer Service/Complaints and Collections Manager, she led her departments through required audits earning a B rating. When the economy took a downturn, her worksite was closed and she was hired by ABN AMRO Mortgage in Sunrise, FL as a Call Center Manager. During her tenure there, she was part of a team assigned to create a new mortgage department geared toward assisting brokers in high-end home sales. Karine relocated to Georgia in 2005 and worked for RYLA, a telecom company, first as a Team Leader, then as a Manager, and finally as an Operations Manager. Unfortunately with the loss of a major client the company was forced to lay off staff which set her on the path to work for another telecom company, Cbeyond. She learned a lot about the telecom world during her eight years at Cbeyond and worked her way up to the Retention Department. In 2014, Karine took a chance on a small start-up and joined the GYM HQ team as a Customer Service Lead Agent. 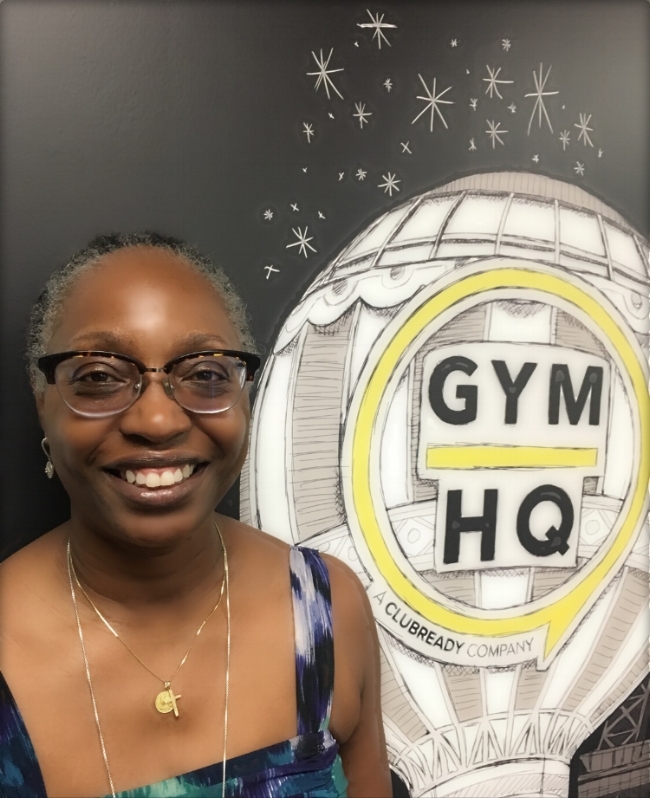 Her background has always been working for large corporations, so working for GYM HQ challenged her to pull from her experiences and apply them on a smaller scale as we grew. As the GYM HQ contact center team grew from 4 to 20, Karine grew with it, ultimately transitioning into the role of Client Services Manager. She currently leads both the Customer Service and Past Due Communications teams. Karine was recently honored as GHQ's May MVP. Her willingness to continue to learn and accept new challenges makes her a vital part of our organization. "As I continue my career journey, I am happy and thankful that I’ve been given the opportunity to continue to learn and grow with GYM HQ. Every day brings something new, and I have a great team in Customer Service and PDC that will assist in our growth." Back at the beginning of 2016, industry vet Mark Polli and his wife, Kim, set out to presale memberships for a new (to them) concept to add to their fitness portfolio, UFC GYM Rocklin. They enlisted the help of our team here at GYM HQ to tackle all of their back-office needs. The journey so far has been a blast! We love working with the Polli's. It's been awesome to watch their progress as the location has matured. We sat down with Mark to learn a little more about him and his views on the industry for this month's GYM HQ Client Spotlight. MP: I have been in the Fitness business since 1981. I was in my senior year of college in Upstate New York, and my Brother called me from California to come work with him at a health club in Foster City, CA. I went out on my winter break and sold memberships for 3 weeks. The Vice President asked me to stay, but I wanted to get my Bachelor’s degree in Business/ Marketing, so they agreed to pay my way back out there after my final semester. I worked for that company for 5 years. I took a break from the fitness Industry to become a stockbroker in 1985, just in time for the Black Monday crash in 1987. I pushed through until 1991 when I was contacted by Mark Mastrov and went to work for Mark when 24 Hour Fitness only had 9 Clubs. I worked at 24 Hour Fitness for 18 years as a Regional Vice President before I started with Crunch Fitness in 2009. Mark Mastrov helped me get involved with Crunch and we opened 5 clubs in the Sacramento area. Mark reached out to me again in 2014 and invited me to the UFC GYM convention, and it was an amazing experience. I was able to see and feel the difference between regular health clubs and “Training Different” at UFC Gyms. There was 7,000 SF of space available next door to the Crunch Fitness in Rocklin and on the other side was a Century Movie Theater. The spot between the two was an “A” location, and I started negotiating with the landlord. I also had to get approval from UFC Gym Franchise and Crunch Franchise to have the clubs next door to each other. After a lengthy negotiation, we got the deal done and then the Landlord offered us an additional 3,000 sq. ft. which we agreed and so glad we did! We are running out of room even with the extra space. My wife Kim and I went down to Anaheim for the Franchisee Training and it was a great experience. We contacted Melissa Knowles at GYM HQ to do our back-office work and it was one of the best decisions we made. We would have had to hire 3 full time people to do all of the work that they do for us and at a very reasonable cost. MP: The biggest changes I’ve seen in the business are technology, equipment, and marketing strategies. I am not sure how we even did it in the 80’s with only a fax machine and corded phones. Equipment was more about looks than functionality with most all machines made of chrome and only 2 lifecycles in the clubs for cardio. Marketing today is an entirely different, especially with Social Media. But the best ever marketing in the clubs has never changed and that is referrals from current members. 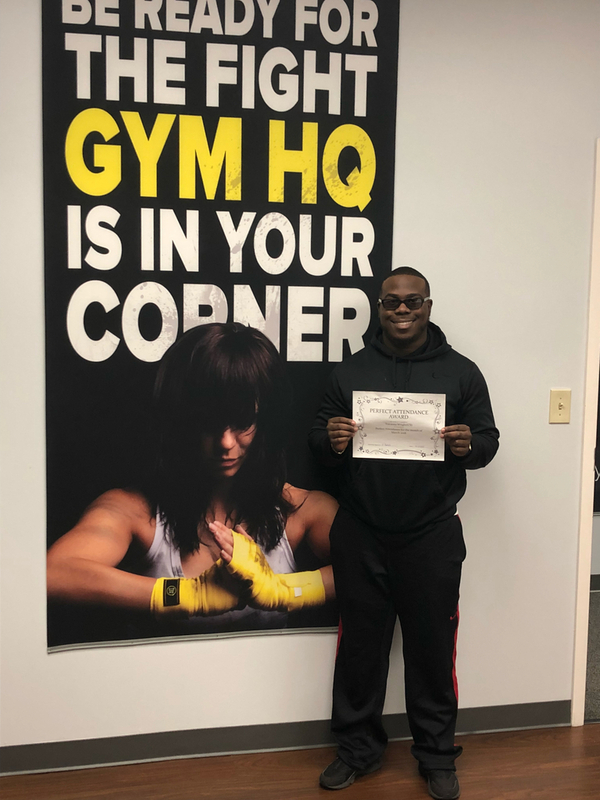 GHQ: Why did you choose to go the franchise route and why did you choose UFC GYM? MP: Working for a large fitness company had its benefits, and it was a great experience to help a company grow from their humble beginnings. Owning my own franchise is getting up every morning knowing that I am making a difference in the lives of my employees and our members. I take pride in every square foot of every club and working for myself means I answer to the community and the employees. UFC GYM offers an experience like no other club offers. Mark Mastrov was talking to me about doing UFC GYM franchise clubs in the Sacramento area while Urijah Faber was getting ready to do a signature club in Downtown Sacramento. I did some research and was on board with starting to check out potential locations. I was on vacation in Hawaii and stopped into the BJ Penn UFC Gym and my wife and I were amazed about the classes going on and we were both surprised how many women were attending the classes. When my wife saw all of the women in the classes, it completely changed her perspective about UFC GYM and she was all in! GHQ: What makes UFC GYM unique? MP: UFC Gym is unique in every way. It’s a tight-knit group of members that you know every one of them by name and get to watch them as they improve physically, emotionally and reach goals they never thought were attainable. The Coaches take great care of the members and they live and breathe the UFC Gym brand. MP: We have a lease signed in Folsom, Ca and it is going to be 12,200 sq feet. We are very excited about bringing this brand to Folsom. GHQ: What is the UFC GYM experience for members? MP: The experience for members is amazing. Watching all of the new members come into the club and they are a bit nervous about what is going to happen is great. No one leaves the club without being dripping with sweat and a smile that says “I did it!” We have members that have lost over 75 pounds and others that have put on size and increased their strength dramatically. The skills classes have brought both men and women that had never worn boxing gloves and are now in the octagon or on the BJJ mat competing and winning. Watching the kids program is especially exciting as we see them grow from tumbling to takedowns to submission holds. Their self-confidence grows on each visit as they learn BJJ moves and respect for the sport as well as respect for the other kids. MP: The most challenging part of the business is driving New Member Sales daily as we try to limit attrition. The other hard part is changing people’s perspective about the gym being a fight club. We have been successful with our outreach in the community by setting up Women’s Self Defense classes as well as Anti-Bullying classes in schools. 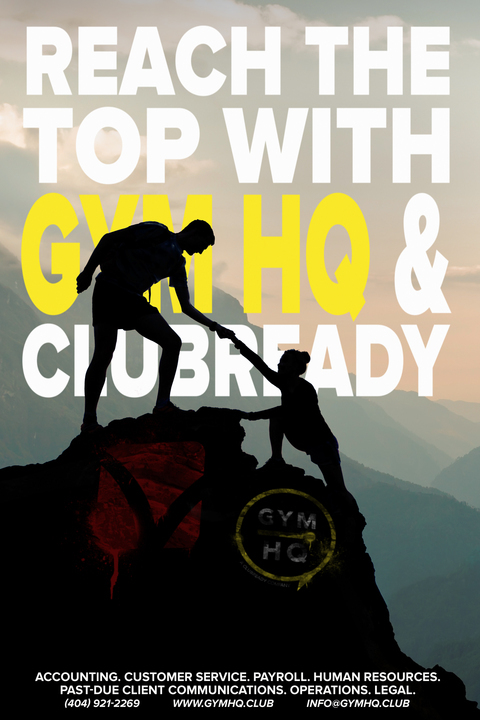 MP: Choosing GYM HQ was one of the easiest and best decisions we made. There was no way I could drive new business, work with our existing members and be present in the club if I was doing back office work. From Payroll to Accounting, Accounts Payable and HR they are a terrific group of people who are always available and quick to respond. MP: Be Present in the club. Build the culture in your club yourself and make sure you are in the club working with the employees, members, and guests. Be part of the community and do everything you can to help people in the community by donating time and resources to local charities. Hire great people who are passionate about Fitness and live the brand. Treat everyone with respect and deliver a great product and service that outshines all of the competition. There are a lot of fitness clubs out there and the biggest difference maker in the club is YOU! As promised, our third and final article on employee recognition highlights businesses successfully utilizing non-traditional methods of rewards and recognition. While some of these may not be a great fit for your business model, I hope they encourage you to think creatively when contemplating a recognition program for your team. Bonusly is an employee recognition software that allows employees to award points to their peers. Peer-to-peer recognition is very impactful and will likely become increasingly important as younger generations move into the workforce over the coming years. Bonusly pairs P2P with a social network platform which is also a win with the younger elements of the workforce. Points are redeemable for gift cards and prizes from major retailers like Uber, Nike and Starbucks. A few companies using Bonusly: Hulu, Chobani, SurveyMonkey, Oracle and ZipRecruiter. Dallas Web Design Inc. uses flexible working schedules as a way to motivate staff to become better. They claim an 80% increase in productivity! According to a 2016 Gallup survey, 51% of employees said they would change jobs for one that allowed them to work more flexible hours, while 37% would change jobs if they could work from where they want at least part of the time. Job seekers are demanding a flexible work environment, and if you don’t offer that in 2018, you will lose talent to your competitors who are. Use this as a perk for top performers who can be trusted with remote work or handling a non-traditional schedule. Keep in mind, this may not work for all staff who must be onsite to directly interact with members/clients. At GYM HQ, we made our own employees subject matter experts in designing our employee training program. We asked our top performers to assist in developing our onboarding process for new hires. This practice fulfills two functions: recognizing the employees for their strengths and developing our company-wide training program. It also allows employees to be exposed to additional functions and responsibilities which is vital for employee growth and development. At Moncur, they have a biweekly employee award program where team members pass a little wooden statue they call Peggy to another member who has done outstanding work or showed incredible acumen. Being a digital and creative agency, they take it to the next level by requiring each member to dress Peggy up in a style that reflects the awardee and encouraging them to post her “adventures” on a designated Instagram channel. Many leading companies such as Whole Foods and CarMax, open up access to their senior leaders for all employees. Whether its town hall meetings, cookouts, or visibility into company decisions, it’s clear that employees crave this access. Consider sharing more that you’re comfortable sharing if you want your employees to commit to the cause. One of your future members of leadership is likely sitting amongst your current ranks. Access to senior leadership is one way to ensure the right exposure is happening long before succession planning is even a thought. Recognizing employee anniversaries is still important. At Groupon, instead of the traditional certificate or pin, yearly milestones are recognized with a top-of-the-line, bright green Adidas track jacket. Employees can even personalize their jackets with unique nicknames and receive star patches for each additional year at the company. These personalized jackets are great daily reminders to new staff of what they’re striving for and a source of pride for veterans. The take away after three articles on recognition is that your company should have a program! From a team to 5 to a team of 5000, recognition is important. It helps retain and attract the best talent, sets you apart from your competitors, and encourages a positive, perhaps even fun (gasp!) work environment. There’s a reason why the top 100 companies to work for are just that. Employee perks, programs, environment and recognition all play a part in employees being excited to go to work every day! Aside from guidance on the use of 1099 Independent Contractors, exempt vs. non-exempt employee classification is perhaps the most popular topic amongst fitness business owners that our HR team fields here at GYM HQ. Tracking and keeping accurate records of employee time can be a substantial administrative burden; so the draw to pay someone a salary and throw caution to the wind is strong! It’s also very enticing to demand work of a team member in excess of 40 hours a week (or 8 hours a day in California) without the need to pay them additional compensation. Today we review the vital steps for employee classification to keep you in compliance and out of hot water. First, let’s tackle the question of 1099 Independent Contractor vs. W2 Employee. Review our previous article for guidance on that topic here. Spoiler alert, I’d wager you have yourself an employee. Next, let’s talk pay. Employees must be paid on a salary basis and at not less than $455 per week or two times the state’s minimum wage, whichever is higher, to qualify for an exemption. Being paid on a “salary basis” means an employee regularly receives a predetermined amount of compensation each pay period. The predetermined amount can’t be reduced because of variations in the quality or quantity of the employee’s work. Subject to the exceptions listed below, an exempt employee must receive the full salary for any week in which the employee performs any work, regardless of the number of days or hours worked. Exempt employees do not need to be paid for any workweek in which they perform no work. If the employee is ready, willing and able to work, deductions may not be made for time when work is not available. Deductions from pay are permissible when an exempt employee: is absent from work for one or more full days for personal reasons other than sickness or disability; for absences of one or more full days due to illness or disability if the deduction is made in accordance with a bona fide plan, policy or practice of providing compensation for salary lost due to illness; to offset amounts employees receive as jury or witness fees, or for military pay; for penalties imposed in good faith for infractions of safety rules of major significance; or for unpaid disciplinary suspensions of one or more full days imposed in good faith for workplace conduct rule infractions. Also, an employer is not required to pay the full salary in the initial or final week of employment, or for weeks in which an exempt employee takes unpaid leave under the Family and Medical Leave Act. Once you’ve determined that the employee’s compensation passes the salary basis and level tests, your next step is to take a look at their regular duties. For the executive exemption, employees must have a primary duty of managing the business or a department or subdivision of the company; must customarily and regularly direct the work of at least two employees; and must have the authority to hire or fire, or their suggestions and recommendations as to the hiring, firing or changing the status of other employees must be highly considered. For the administrative exemption, employees must have a primary duty of performing office or non-manual work directly related to the management or general business operations of the employer or the employer's customers, and their primary function must include the exercise of discretion and independent judgment with respect to matters of significance. For a professional exemption, employees must have a primary duty of work requiring knowledge of an advanced type in a field of science or learning customarily acquired by prolonged, specialized, intellectual instruction and study, or must specialize in a few other similarly, highly specialized fields, such as teaching, computer analytics, and engineering. Aside from a select few members of a corporate team (legal, accounting, etc. ), this exemption is rare in the fitness industry. An Assistant Fitness Manager may be one of several employees who direct the day-to-day activities of other team members but may have no discretion as to whether to hire or fire employees. He may spend more than half of his time selling training packages, assisting members, or doing other routine tasks that require little or no discretion and independent judgment. Even if he were to meet the requirements of the salary basis and salary threshold tests, he would not qualify for an exemption because he would not meet the duties test requirement. A General Manager oversees the entire club’s operations (often with little interaction from ownership for days on end). She is tasked with managing the entire staff (hiring, firing, coaching, scheduling) and making decisions which significantly impact the business. Though she may also engage in sales or menial administrative or manual tasks (cleaning, paperwork, etc. ), she clearly passes the duties test under two both the executive and administrative exemption. Owners often wonder what the consequences would be if they are found to be misclassifying their team members. There is a litany of legal cases which point to how severe and costly these consequences can be. In 2011 Levi Strauss agreed to pay over $1 million in back pay to 596 (12%) of its employees who were improperly classified and therefore not paid overtime. In 2014 US Bank settled a misclassification suit for $1.9 million. After seven years of litigation, 24 Hour Fitness settled a misclassification case in 2013 for $17.4 million. They’d previously settled another wage and hour class action in 2006 for $38 million. These figures and cases are tied to very large businesses, and it’s sometimes challenging for a single club owner to correlate that to the impact he’d see for his company. Here’s the easiest way to look at it, when has anything involving hiring a lawyer or law firm ever been less than costly? Wage and hours claims are one of the most common for small businesses and aside from any money paid out to the claimant, are very costly to defend. How much are you comfortable dishing out to defend a claim? How sure are you that you have a strong defense? Is your team currently classified correctly? As the old adage says, “An ounce of prevention is worth a pound of cure.” Or in this case, an ounce of preparation (doing things right starting now) is worth a pound of defense. While installing a rewards and recognition program does take effort, it need not be overly complex or time-consuming. And the positive effects are invaluable! Think of recognition as a communication tool which helps to reinforce the behaviors and outcomes your organization values most. It provides a pathway for you to say, “YES, that’s exactly what we’re looking for. Do more of that!” This article is the second in a short series on Employee Recognition and Rewards. Today we focus on two ideas that bridge the gap between the old-school and the new. In a workplace that consists of several generations simultaneously, it’s important that your program speaks to everyone! First the old tried and true Employee of the Month. The calendar naturally provides us with 12 smaller times frame during which to measure success. Dedicate a few moments each month to recognize one outstanding team member and crown them your MVP. This team member should be recognized in front of the entire team (at a meeting or morning stand-up). Make sure to clearly outline why this person is such a vital part of what makes the company great and how their actions contributed to success during the month. Complete the recognition with a certificate and reward (bonus, gift card, prize pack, etc.). This adds a formality to the presentation and makes it feel “official.” Consider a wall of fame to showcase the current month’s MVP as well as past superstars. Formal monthly appreciation is great, however, while the month flies by, don’t forget to give out praise DAILY as opportunities arise! The best leaders don’t make team members wait to let them know they’re doing a great job. They recognize achievement as it happens. So, while you may be keeping score internally for your monthly MVP, don’t forget to give frequent pats on the back when any team member exemplifies your brand ethos, hits a milestone, or goes above and beyond. The best part about daily praise is it’s free! While your younger team members will undoubtedly appreciate being recognized via the non-digital channels above, don’t forget to speak to them in their language as well and hit social media. Your Facebook, Twitter, Instagram, and the company website is a great platform to broadcast “shout-outs” to a much broader audience. Hit millennials with praise where they live! Your company homepage and blog are prime real-estate. Dedicate a portion of them to your hard-working employees. Use these areas to highlight team members and provide their backstory (accenting their passions and unique life histories). This not only allows for recognition but also showcases your valuable team to your clients and potential clients. After all, for most fitness businesses, people are the number one differentiator! Don’t forget social media! Nothing is better than watching a post on which you’re featured rack up likes and shares. This will help supplement your in-person efforts and ensure everyone sees the contributions your team members are making. This is especially important if your team works in multiple locations or you have remote staff. Next month we’ll conclude our employee recognition series with a curated list of non-traditional methods of recognition being successfully used by top companies. Get ready to think outside of the suggestion box!